730 Jackson Road Salisbury, NC. | MLS# 3485412 | Provident Living (704) 609-5362 - Jean Griswold - Your Trusted Real Estate Advisor - Call Jean for all of your real estate needs. If you or someone you know is Military (active and veteran), Law Enforcement, Fire Department, Emergency Medical Professional, Teacher, or a HealthCare Professional - contact me to learn more about the significant financial rewards available to you through Homes for Heroes and Provident Living Inc - and thank you for your service! 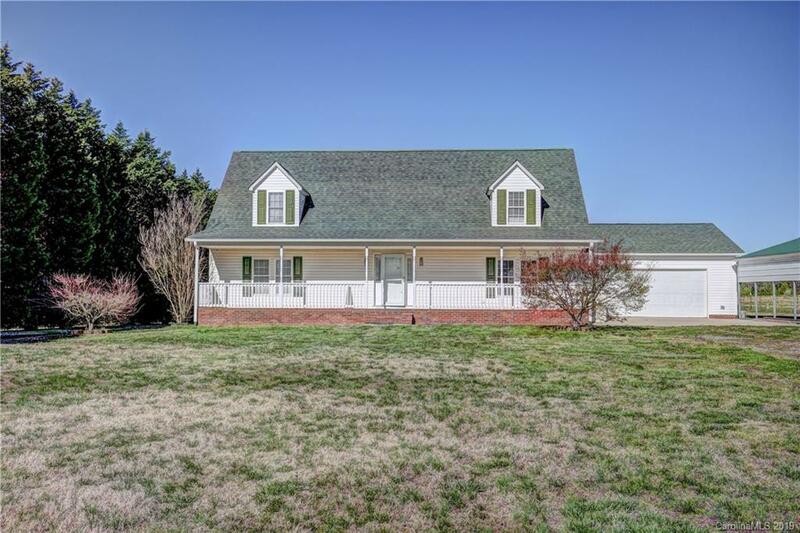 Spacious 2500+sf home with both oversize garage AND separate oversized carport on 2+ acres in rural area near Rockwell. Master suite down; gas log fireplace (propane) in family room; dining room opens to covered back porch and open deck. 3 bedrooms up, plus loft and bonus room! Separate building: partially-finished 600sf garage apartment under construction (plumbing, electrical already in place) with workshop/garage and covered patio underneath – see sf measurements in attachments. Court approval on behalf of the Estate is required (see Agent Remarks and Attachments) – call L/A for more information. 2016 © Provident Living Inc. All rights reserved.